There is a problem … what do I call modern architecture? Perhaps the obvious answer is to just call modern architecture modern but then design historians talk about Post-Modern architecture from the 1980s and early 1990s so surely anything more recent has to be post post modern? Or is that just trying to be too rational? writing about design on the internet gets more serious …. I don't mean serious as in grim and pessimistic but that writing about architecture and design on the internet can be much more grown up and more challenging - it should make us think and make us want to understand more - and could certainly be much more about the world we really live in. Both design in general and our built environment in particular are too important to be limited to a finger swipe in a bored moment and certainly what's posted should be less about envy and aspirations that can't be realised - swish images that just make us, the readers, increasingly more discontented with our own life and encourage us to go out to buy something that will, we are told, make life easier or better or make us look more stylish or more fashionable. Don't get me wrong, Instagram and Pinterest are good if people want to use those apps to create 'mood boards' for inspiration and as a starting point to find out more. But there should be more. Good design should be about making things that work in a better way or to encourage design that uses materials in a better way, and certainly blogs about design should be much more about looking carefully at what makes good design good and bad design bad so we become more discerning about what we want and what we buy. For most of us, urban settlements rather than the countryside are our normal everyday environment so the buildings we live in, work in or use for shopping or leisure and the streets and squares that form the settings for those buildings are definitely important. They need to function properly and if they look good and make our lives better or easier it really is a bonus. Perhaps we all need to look more carefully at the buildings we use in order to understand more and question more about what is going on in our built environment so we can decide what is good and what is poor architecture and we should expect and demand more. 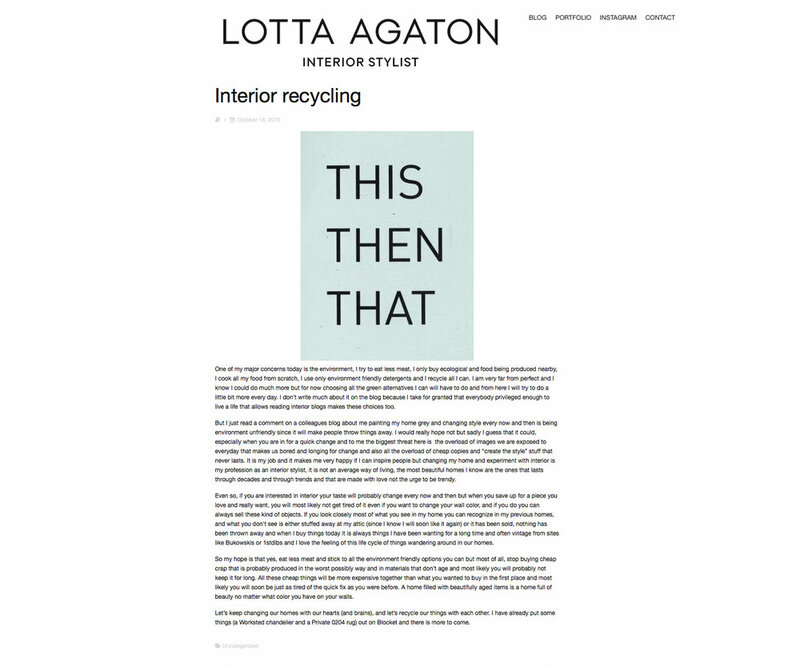 If we don't look at the underside of the table; if we don't plonk down in the sofa before we buy it; if we don't look at the label to see that the materials are genuine and sustainable; if we don't say no, that doesn't work; if we don't see that it's a cheap and nasty copy; if we don't look up from the shop window we are walking past to see if the street is a pleasant or an unpleasant place to be and if we don't start understanding more and questioning more then we end up with the architecture we are given and the design we swipe through on our phones when we have nothing better to do. why don’t we talk about architecture more? Relaxing with friends - maybe when sitting around a dining table at home or sitting in a pub or in a restaurant - people discuss music or talk about food or fashion at length. If the conversation becomes animated it can reveal high levels of interest, often a fair bit of enthusiasm and frequently strong opinions expressed with partisan conviction that suggests a reasonable level of knowledge. At the very least, most people can distinguish rock from pop, classical from jazz; most will have an opinion on the latest restaurant to have opened or talk about the different beers brewed in their city and - even if men say they don’t know anything at all about fashion - they have clear preferences for one make of jeans over another and can explain precisely why. But rarely does there seems to be an equivalent interest or general knowledge when it comes to architecture and yet we all live in buildings and all, or nearly all of us, work in buildings. We visit large, expensive, modern buildings, that might be well-designed or badly-designed, when we shop or to go to a concert. Most of us walk along streets every day and architecture impinges on almost everything we do. Is business action on climate change believable? - was a panel session with questions from the audience and was held shortly after the Paris summit on climate change. Steve Howard talked about ‘sustainable abundance’ and at one point suggested that one aim should be to ‘de carbonise growth’ that both sound rather like business as usual but he also talked about IKEA reducing the impact of their transport systems and their stores by using renewable energy and mentioned their move from halogen lighting to the lower energy consumption of LED for lighting sold in the stores which are obviously part of a proactive approach to reducing the use of energy both by the company and by their customers but, to be glib, with 2 million customers visiting an IKEA store each day then the reality is that each day more people in the world must be replacing and dumping more products from IKEA than from most other single companies and the business is not sustainable if it does not continue to sell. At the least, 137,000 people employed by IKEA depend for their livelihoods on selling stuff. The remark about peak stuff came in response to a question from the audience that asked the panel how the problems of sustainability and the threat to the planet from climate change can be tackled while governments and business see us all as customers rather than as citizens. Kevin Anderson of the Tyndall Centre for Climate Research admitted that in a ‘complex system’ change is difficult and several points were made about the problem for investors and governments if they have to create policies for a market that inevitably cannot be based on growth. Sasja Beslik from Nordea emphasised that transparency in business is crucial, presumably so we can see what they are or are not doing about energy use and sustainability, and it was pointed out that one serious hurdle is to get governments and major companies to not only focus on a longer-term perspective but also to confront the reality that we cannot have infinite ‘green growth’ but that the trade off might be that we consume less but have more free time … something that Kevin Anderson called ‘steady economics’. It was at that point that Steve Howard, I think in trying to be positive, said that in the west we have “hit peak stuff … peak home furnishings” but it was not clear if he meant peak production or peak demand or a saturation point where everyone in the west really has no space left for an IKEA product. Will Hutton in his column in the Observer on 31st January gave his well-considered reaction to the idea … if having more no longer satisfies us, perhaps we’ve reached ’peak stuff’. Back in October several on-line design sites posted about Norwegian officials ordering the destruction of 100 copies of the famous Wegner Round Chair … a batch of fakes that had been ordered for a restaurant or hotel in Norway and made in China. I’ve been sitting on this post for some time … appropriate I suppose because it’s about chairs … but the issue and, particularly comments on the original articles, raised several really important points that I had to mull over to write about after some careful consideration. Of course, the first point is that copying a design without permission and without paying for a licence or copyright fee is at at the very least cheap skate, probably dishonest and in many countries actually a crime. Some people could not understand how buying the chairs had broken the law but in Norway, as in Denmark, buying items that contravene copyright ownership is illegal for commercial companies so it is not just a manufacturer who could be breaking the law by copying a design although the law does still allow individuals to go abroad and buy fakes for their own use from countries like the UK where copyright laws seem to protect the manufacturer’s right to make a profit over the designer’s right to protect their work. There used to be a phrase about passing off - implying deception - although I’m not sure anyone uses it now but one curious aspect about buying copies is the implied deception by a purchaser. I can see that someone obsessed by design might want to own at least a version of furniture they admire but furnishing a commercial space with copies of prestigious and expensive furniture is different. If there is not a big notice on the door saying “these are fakes but hoping you are still impressed” then presumably buyers are hoping that customers think that they have spent more on the refurbishment than they actually have. The Round Chair is very comfortable but was that the reason for buying the fakes? Other good chairs by other good designers are available … as the BBC might say. Buying copies is a missed opportunity. Sort of playing it safe. Buying what someone thinks someone else will be impressed by. Why not commission a design from a young designer or a new furniture company and actually make a big thing of that? A hundred chairs in a new restaurant could launch a career or a company. Of more concern were the comments posted by readers. Some were in support of copyright protection but they were in the minority. Many of the comments showed a real misunderstanding of the design process and actually revealed a major gap in understanding between the designers and their customers … the people who at the end of the process buy the furniture or lighting or ceramics or glassware. Some comments implied that really they thought that the design process must be quick, easy and over rated so designers are overpaid for what is, surely, not much more than a quick sketch or at most a nice drawing for the manufacturer. Of course the reality is so different. An initial idea might come as a flash of inspiration but realising that involves a huge amount of time to refine ideas, trying and rejecting some versions, and dealing with the whole process of moving from a model or a concept version to something that can actually be reproduced in a factory. And that’s without factoring into the ‘cost’ of the design the training and years of hard-gained experience that came before the design and surely has to be rewarded somehow. For the Form range, designed by Simon Legald and launched by Normann last year, there was a three-year development programme that meant a considerable investment in terms of time, effort and money during a period before there was any income. That money, rightly of course, has to be recouped from subsequent sales and has to be an element of the purchase price. That is lost or at best compromised if another manufacturer steals your design and then produces a cheap version that undercuts what you have to charge to recover the investment in the development of the design. The Form range of chairs and tables is also a very good example of the technical aspects of design that all the comments to the story about the fakes ignored. When Form was launched, Normann had a display in their shop in Copenhagen that showed just how much care had been taken with the moulding process to get the rigidity of the plastic right for comfort, how much care went into the way the legs are joined to the shell to achieve both the look but also the strength they wanted, and so on. There are two points about that: the company making a copy is avoiding all that angst and cost but, perhaps even more important, most customers, clearly, don’t understand that the structure and the use of appropriate materials at the core of a piece is as important or more important than it’s appearance. Somehow, we have have got to a stage where people generally associate ‘design’ exclusively with appearance. It hints at a shallow understanding of the design process. This seems to suggest that ‘design’ is seen as an ingredient rather than a process and wilfully fails to understand the basic economics. The implication in the comments was that the value/price put on the design side of production was substantial and if cut would reduce the ticket price … almost as if there were no costs between the design and the item appearing in the shop. The cost of materials, the wages to the people making the furniture, the cost of the factory premises in terms of rent or investment in buildings, investment and depreciation of machinery, the cost of power and water, the profit element for the manufacturer after the cost of administration and the tax levied on the profit, the shipping costs, the expenses of the retailer, their premises and staff, and the profit added by the retailer as well as their tax on profit and, in Denmark, 25% VAT and finally the transport cost of delivery to the customer are, almost certainly, all and every one more than any copyright fee earned by the designer. The sad reality is that if you doubled the designers fee it would make little difference to that final ticket price. Major companies who own the rights to a design might, if they have a good and popular design, see a good return on what they paid the designer but in fact that regular revenue stream is usually what finances the next design or the promising design that for some reason does not simply walk out of the showroom. So add to that long list of costs the cost of advertising and the time spent talking to bloggers and magazine journalists and the investment in trade fairs just to make sure people know they have an amazing design someone might want to buy. If your design is stolen and reproduced badly then it certainly undermines a designer’s and a manufacturer’s reputation. Some argue that many fakes are indistinguishable from the original but then of course another economic reality kicks in. Legal controls on materials, sustainability, wages and so on means that there are few areas of the manufacturing process where cost can be reduced so, generally, quality suffers and what starts then is a race to the bottom. Conversely, if every purchase is of a genuine piece then volume sales might mean that the unit cost comes down. By buying a fake people almost guarantee that the price of the original can only come down if quality comes down as well. People buying fakes are not striking a blow for the democratic right to buy good design but undermining the industry and that means more and more production, even by major companies, is outsourced to countries where labour is cheaper. In the short term, consumers might not see that as a problem. They have the chair they want, or at least a chair that looks like the chair they want, so where is the problem? Long term, with outsourcing goes the reason for retaining skill and knowledge and infrastructure locally. What goes is the ability to produce in Europe and with it the close and crucial link between the designer and the manufacturer. There are accounts of Wegner calling in to the cabinet maker’s workshop on his way home to see how work was progressing and to discuss the feasibility of an element of a new design. I’d say that that close working relationship and mutual respect was crucial for both the designer and the craftsman and that is reflected in the quality of the product. Several curious comments about the business of copying designs were along the lines that surely a chair is just a chair and all designs derive, in one way or another, from what has been produced before. Wegner himself was inspired by the designs of other countries and other periods and he returned to earlier forms and earlier shapes he himself had designed but he did not repeat a design but explored different solutions. Although the chair is a basic piece of furniture there are almost limitless possibilities, particularly in using new materials. At the Autumn exhibition by cabinetmakers at Øregaard there were 18 very different chair designs and what was interesting to see there was that although those designs were clearly in that tradition of masters making perfect and expensive one-off pieces to show off their skills, most could, with few changes, go into commercial production. There was absolutely no indication that they were hard-pressed to come up with new ideas. Nor is there a problem with manufacturers continuing to produce historic designs legally … that does not in itself mean they are living on past glory, as some comments suggested, or that it will stymy the work of new designers but generally it sets a standard and means that great designs continue to be available. The Wegner Round Chair is still made by PP Møbler in the right way, by skilled local craftsmen, and using the right materials. There is no sell-by date for good music or good books but new books and new music come out all the time … good design is no different. You can probably guess that I had no truck with comments along the line of a chair is just a chair so what is all the fuss about? Several comments about the destruction of the Wegner chairs asked rhetorical questions about what the designers, who are no longer alive, would feel about the cost of their furniture now because they wanted good design to be available to everyone. This is wilfully conflating several ideas. Hans Wegner, more than any other designer of his period, understood and appreciated the skill and therefore the value of the contribution made by the craftsman. He also understood completely the importance of using the best or the most appropriate materials and his designs were based always on the structural integrity of the piece. He understood, more than anyone, that a design like the Round Chair used expensive materials and levels of craft expertise which meant that it could never be a cheap chair. Don’t just look at the price of one of these chairs in the 1950s and conclude that was cheap. Compare that price with the average wage … in 1952 the average annual income in England was £589. Working families might only bring in seven or eight pounds a week. How many Wegner chairs could that buy? 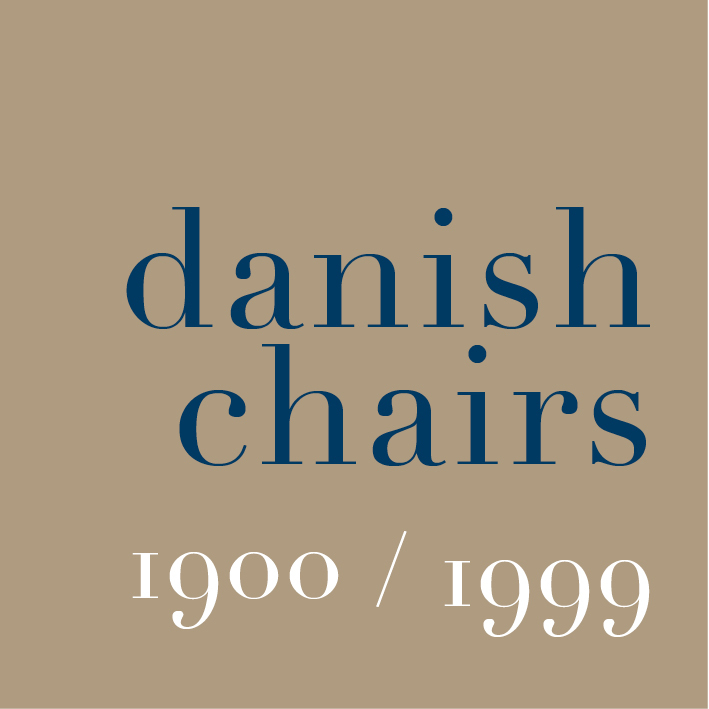 That is why several of the Danish designers, including Hans Wegner, worked with the co-operative movement in Denmark to produce well-made and well designed furniture at a realistic price. The reality is that the Round Chair was always an expensive design. Several comments about the fakes also suggested that designers from the Bauhaus in Germany wanted to produce cheap good designs for ordinary people. Again that is a distortion and an ironic misunderstanding of design history. Designers from the Bauhaus and before them, for different reasons, the artists and architects of the Arts and Crafts group in England, were appalled by the poor quality of mass-produced, factory-made goods for ordinary people - mainly because they simply reproduced badly, in cheap materials, what wealthy middle-class families owned. The designers of the Arts and Crafts movement were concerned that craft skills were being lost, particularly rural skills like chair making, as people moved from villages into towns to work in factories. Their answer was, in part, to return to simple, honest and well-made designs. Hand made and, inevitably expensive. The designers of the Bauhaus and architects at the start of the modern movement also wanted straightforward and honest designs but designs that made full use of industrial methods, new materials and exploited industrial scale of manufacture to keep prices down. If they were alive now they would hardly be advocating that every person had the right to buy a cheap Eames recliner. I've just realised that I started nordic design review two years ago with the first post on 2nd June 2013. Changes are on the way: there will be a new navigation option on the top bar for profiles - longer posts on designers or architects or manufacturers. And for those posts the focus will be on the area where design heritage, traditional craft skills and the pressure to maintain a forward momentum for the design industry are either in conflict or overlap or come together - even if getting the right balance is a challenge for designers and manufacturers. And I want to try more general posts - to encourage discussion - about exactly how we know that a building or a piece of furniture or a design product is not just good design but great design. I'm also thinking about a few changes to the layout of the site to make more use of the features in the SquareSpace templates. It's tempting to move this site across to the template I use for Copenhagen by design to use some of the indexing features I like but I now have an irrational fear that I will click on the option to change templates and two years of text and photographs will look like the biggest jigsaw you've ever seen scattered over the screen. Yup irrational but maybe better the Devil I know. I’ve been thinking a bit about choice in design. This was triggered by an article last month by Aaron Shapiro on the web site Fast Company. He is the CEO of Huge and started the article by talking about the “tyranny of choice.” He had been looking for the board game Monopoly to buy on line and reckoned there were 2,767 versions available. He went on to point out that someone has calculated that we make 35,000 decisions a day. Now most mornings it takes me about 10 minutes to decide if I want tea first and then coffee or if it would be a good idea to cut straight to the coffee. I’m not actually sure how I get through the other 34,999. Maybe that’s why I need the caffeine. He discussed how, because we have to make so many decisions, we end up making bad decisions. But then, as he developed this proposition, he began to loose my support … he started to talk about 'taming and training data' and 'anticipatory design' to make the 'needless choices' in our lives. Maybe I can’t always be sure if I want coffee or tea but I certainly am sure that I don’t want Google or my fridge making decisions for me based on what they think I think I want. But then when it comes to design and design stores that hope for a wide choice when looking for something becomes difficult … there is just so much design out there. Even in large design shops like Illums Bolighus or Paustian in Copenhagen they cannot stock or display everything that is currently made … how could they show you every chair for every conceivable need or taste for instance? So, even in those stores, the customer looks to the skill of the department buyers and the shop staff with their knowledge to focus down and edit that choice. For smaller design shops their even-more limited space means the exact choice for their stock becomes ever more crucial but this can actually be a selling point. If you can see what a shop has focused on and if that chimes with your own taste or seems to offer what you are looking for then going to that shop is a quick way to concentrate on what may be your best options. Obviously the following posts are not about design shops with a limited choice, because that would, I guess, suggest something slightly negative and restricted, so let’s call this a series of post about shops in Copenhagen with a selection that is clearly and carefully focused. It’s the idea of a shop that is carefully curated so certainly, in the broader spectrum of the retail world, much much much closer to a gallery than to any pile-it-high-sell-it-cheap design store. is zoning in planning now too rigid? In most ways the developments shown in the exhibition at KADK about housing and welfare tick all the boxes … all of them are imaginative about overall planning with a strong emphasis on sustainability, most are keenly aware of social housing needs, all try hard to provide good, well thought out living space for a family with generous provision for natural light and where possible give good views out for each unit and all the schemes have an imaginative mixture of public and private outdoor space. But the more I thought about what I had seen, the more it struck me that there was one clear omission. Only one of the schemes talked about local provision for work with the inclusion of at least some commercial space. I know that this is an exhibition about housing but there were several area plans and schemes for substantial developments that create large new neighbourhoods. Many developments provide space for cafes and there are a number of gyms for the local community and some plans include retail units but only the scheme by Entasis for A C Meyer Vænge mentions the inclusion of commercial units. I was keen to double check, just to make sure I hadn’t missed anything, so went back to the exhibition today to read through all the summary texts again and look carefully at any layout plans. This confirmed something that I had already wondered about as over the last few months I have explored Ørestad, the Free Port, Tuborg Havn and the developments around the south part of the harbour. Older, well-established workshops and some factories have survived in some of these areas and of course there are office developments often in close proximity to housing and the work by BIG, particularly and very deliberately for the 8 House, layers extensive commercial office space on the lower levels with residential apartments and town houses above. But there were no small workshops or studios. I’m certainly not advocating here that heavy industry with noise or air polution or businesses that require hefty road transport to deliver materials or to take away finished manufactured goods should be mixed with play grounds and leisure spaces. It is just that Copenhagen had … and I emphasise the past tense … a strong domestic and commercial mix within the city. The city was constricted to a relatively tight area by defensive walls and so for a start, within the city itself, from the early medieval period right through to the 1960s there were all the trades and businesses associated with the harbour. Is there even a single ship’s chandlers within the city now? Through the medieval period and through the 17th and 18th century, almost everything sold in Copenhagen was made in Copenhagen. More significantly, in terms of the current exhibition, the last period of massive growth and massive development for the city was in the period from the 1870s through into the early 20th century when all the areas beyond the old military defences were built including Vesterbro, Nørrebro and Østerbro. These new buildings then, as with the developments now, were primarily blocks of apartments but in amongst them, in courtyards and on the ground floors were furniture makers, dress makers and, presumably, candlestick makers. Virtually none of these businesses survive within the centre. Rud Rasmussen the cabinet maker on Nørrebrogade, a couple of working potteries on Kronprincessegade and in Islands Brygge and the cabinet makers Københavns Møbelsnedkeri, also in Islands Brygge, are obvious exceptions but for how much longer will they be able to survive rent increases or the pressure to move out to industrial areas well outside the city as developers eye their potentially valuable plots. Surely there is a strong argument for including small workshops, studios and work spaces as fully integrated within these new residential areas. If wealthy merchants in late medieval Copenhagen lived above the shop why not their modern equivalent? And the potential gains are surely obvious. Everyone talks about a work/life balance but for some the integration of workshop and living space could solve lots of problems … so no commuting for a start and being there when the kids come home from school. Lots of people do now work from home but presumably very few of them can work with anything larger than a computer on a desk in the corner of a living room. This isn’t a suggestion for a sort of living museum world of performing craftsmen but maybe strict zoning has gone too far. In the same way that children need contact with and an understanding about how food is grown, maybe they need more contact with the world of work. Perhaps local carpenters and weavers and potters would be inspiring. They could be supported with subsidised workshops or tax breaks in return for being there and being visible … how does a child decide that they might like to do a technical training as a furniture maker when they finish school if they have never seen a carpenter working? If some trades and small-scale manufacturing was brought back into these areas we really could start talking about the local economy. And if we are talking seriously about sustainability, surely the survival of trade and craft skills and their integration into the areas where we live could be a huge step forward, or at least an alternative step forward and not a step back, but that can’t happen if there are no spaces for bakers, cake makers, picture framers, illustrators, rug makers or basket makers just down stairs or just round the corner. Bicycle repair shops seem to do pretty well already … but why not more local trades? More makers and doers … as long as zoning can allow for makers and doers. The area around Jægersborggade in Copenhagen and the businesses along Kompagnistræde and Læderstræde in the centre have craft shops and cafes mixed together they show the commercial potential and the attraction of this sort of development but is perhaps more focused on retail and leisure than I mean here and the web site for Northmodern has a post about a Bella Quarter adjacent to the Bella Center with some planning work undertaken by COBE but I’m not sure if or how that will progress and it was certainly not included in the exhibition at KADK.